The Military Religious Freedom Foundation, Mikey Weinstein’s militant organization, wrote a letter of complaint against US Air Force Chaplain Lt. Col. Kenneth Reyes. MRFF is the very same foundation which has labeled Christians “fundamentalist monsters” and accused Evangelicals of attempting to “reign of theocratic terror.” It would seem Mr. Weinstein is confusing Christians with Islamists and the Muslim Brotherhood. 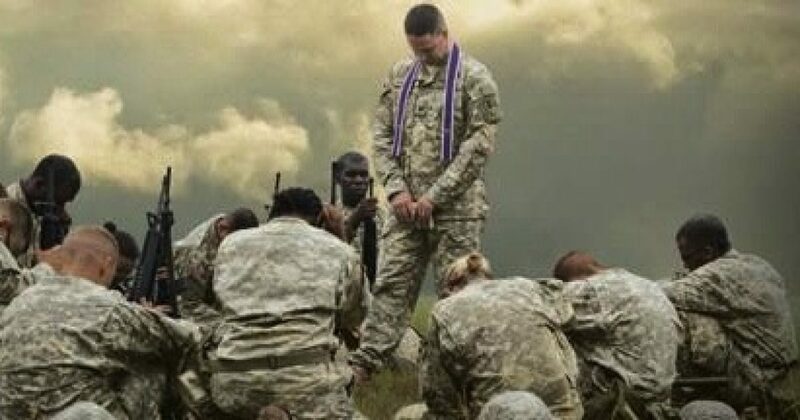 So there is no freedom of speech for military chaplains? When a person enlists as a chaplain they denounce the First Amendment? They fired off a letter to the Air Force base allegedly on behalf of 42 anonymous airmen who allegedly complained. The Air Force agreed and approximately five hours after the MRFF complained, they removed the chaplain’s essay. “While certainly not intended to offend, the article has been removed from our website,” Col. Duffy wrote in an email to the MRFF. But that’s not good enough for the Military Religious Freedom Foundation. They want the chaplain punished for what he wrote. Ironically, the Air Force left six complaints about the essay on their website. Ron Crews, the executive director of Chaplain Alliance for Religious Liberty, told Fox News the chaplain was well within his duties to write an article about faith. Crews said the incident is yet another example of chaplains facing attacks for expressing their religious beliefs. At a time when the Muslims are well-represented within Obama’s administration, and when the Muslim Brotherhood has been, until the recent coup, supported in Egypt by the WH, Islam is tolerated…Christianity not so much. What would the founders, each of whom espoused Christianity to one degree or another, think of the gagging of a Chaplain? In one of my many discussions with Roy, he distinctly remembered a period on the “Hell Ships” – these were ships the Japanese used to bring POWs from the Philippines back to Japan. They were unmarked and thus ‘fair game’ for attacks from the allies from the air and sea. Later on during the trip to Japan, Cummings, after giving his food to others who needed it more, succumbed to his own need and died of starvation. Roy never affirmed or expressed whether his faith was rooted in religion or not, but for a moment in time on the “Hell Ships,” he believed in Cummings’ faith. What is ‘faith’ to you?